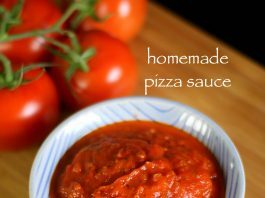 pizza sauce recipe | homemade pizza sauce recipe with detailed photo and video recipe. 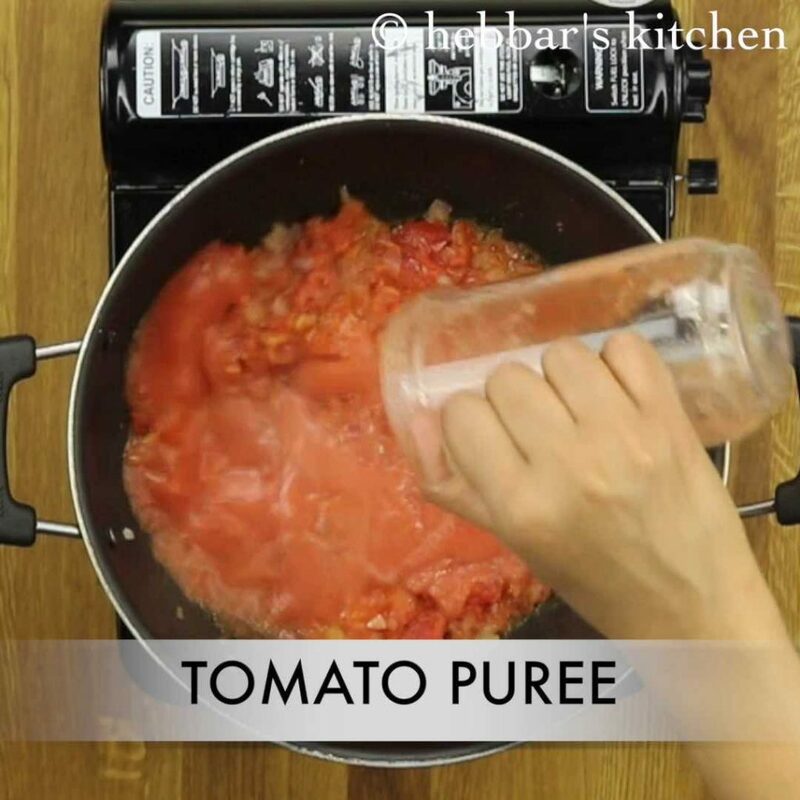 in essence, pizza sauce is tomato based sauce prepared by blenching tomatoes and spiced with herbs and garlic. 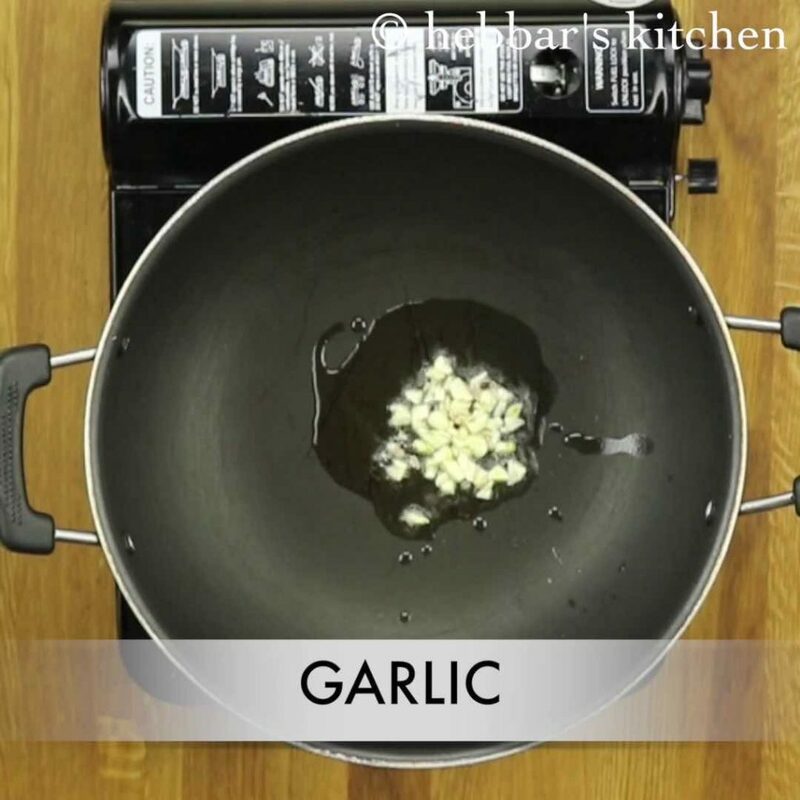 essentially it is used as a spread for the pizza base before topping and baking pizza. 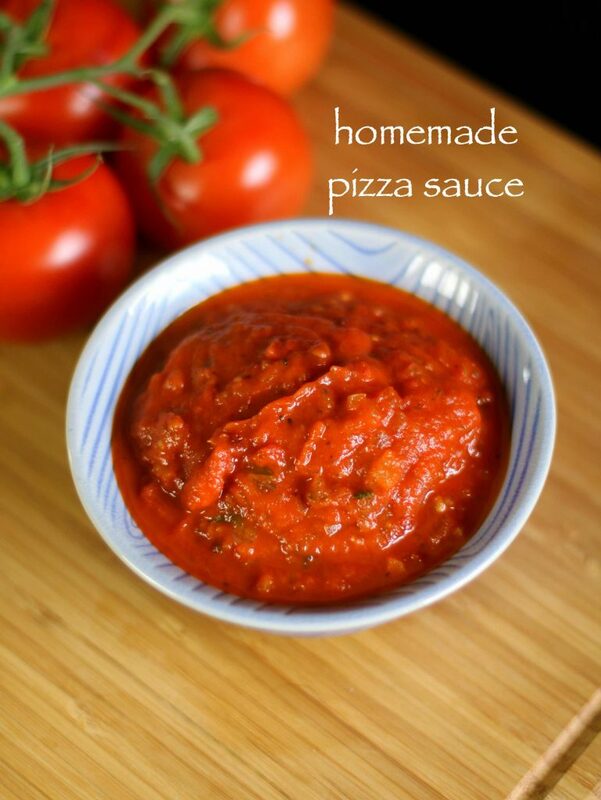 pizza sauce recipe | homemade pizza sauce recipe with step by step photo and video recipe. 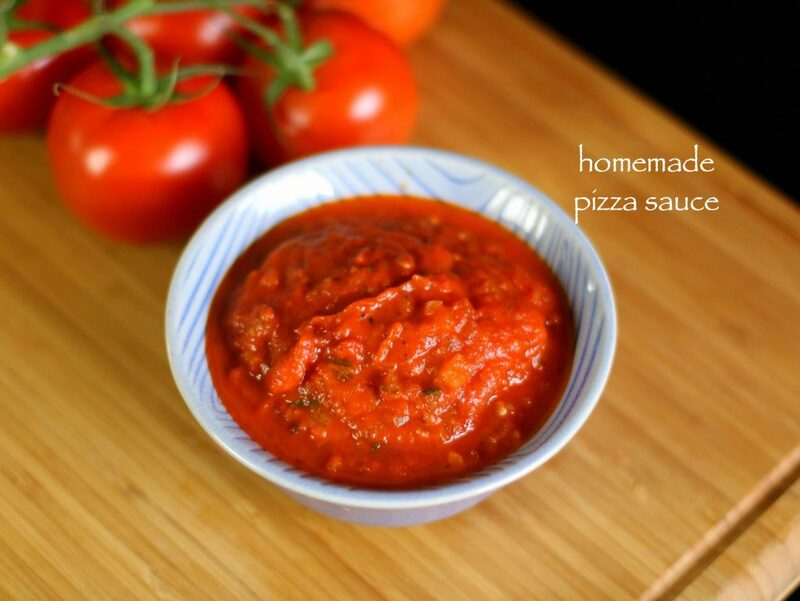 basically a thicker version of tomato sauce which is primarily used as spread for pizza bread. 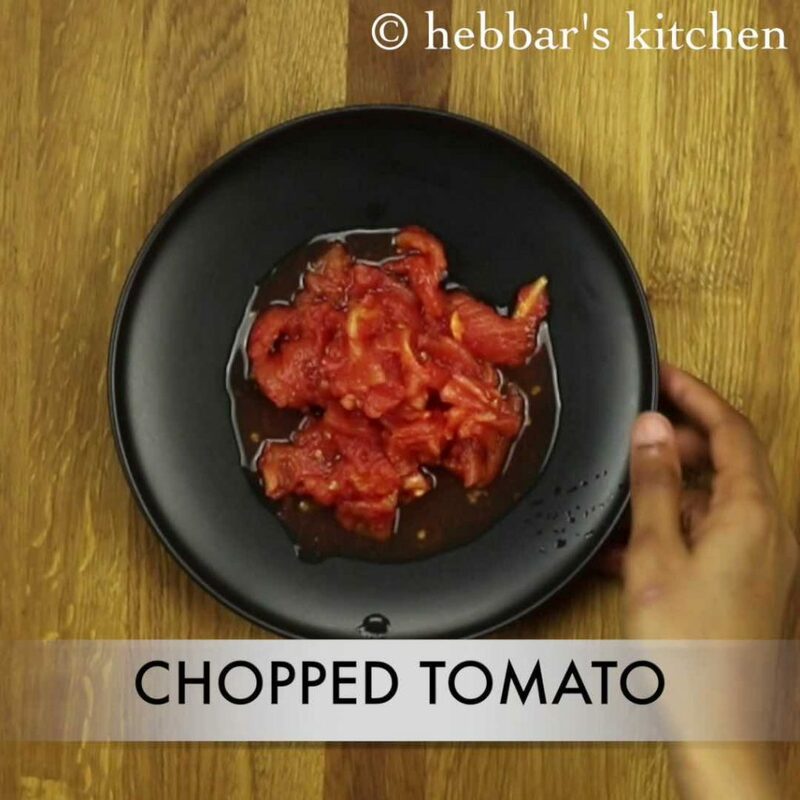 it is typically prepared with red ripe tomatoes and spiced with basil leaves and italian herbs. 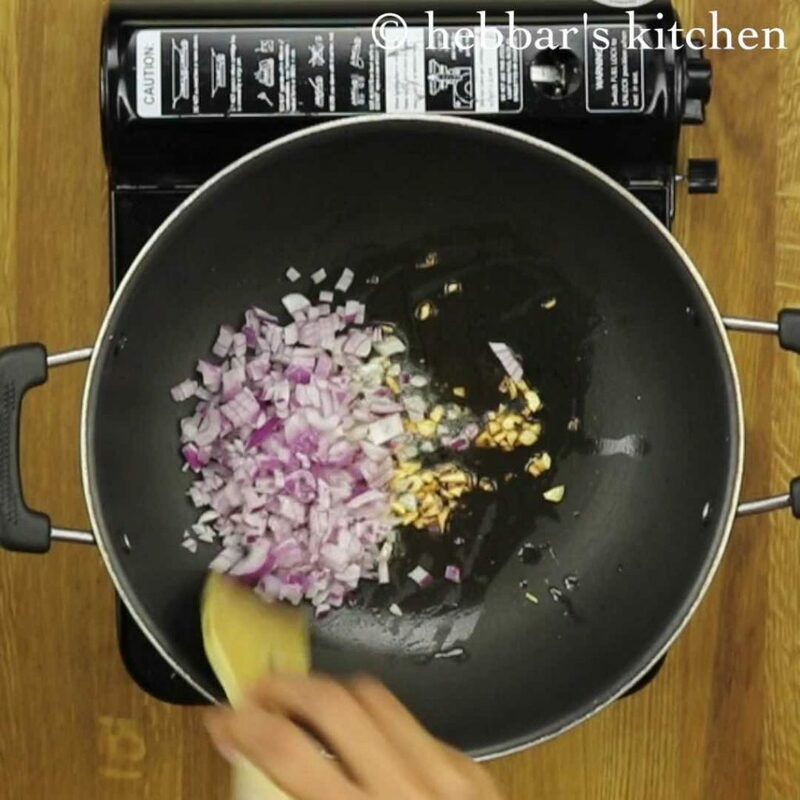 depending upon the spice level, it is even mixed with chili flakes. 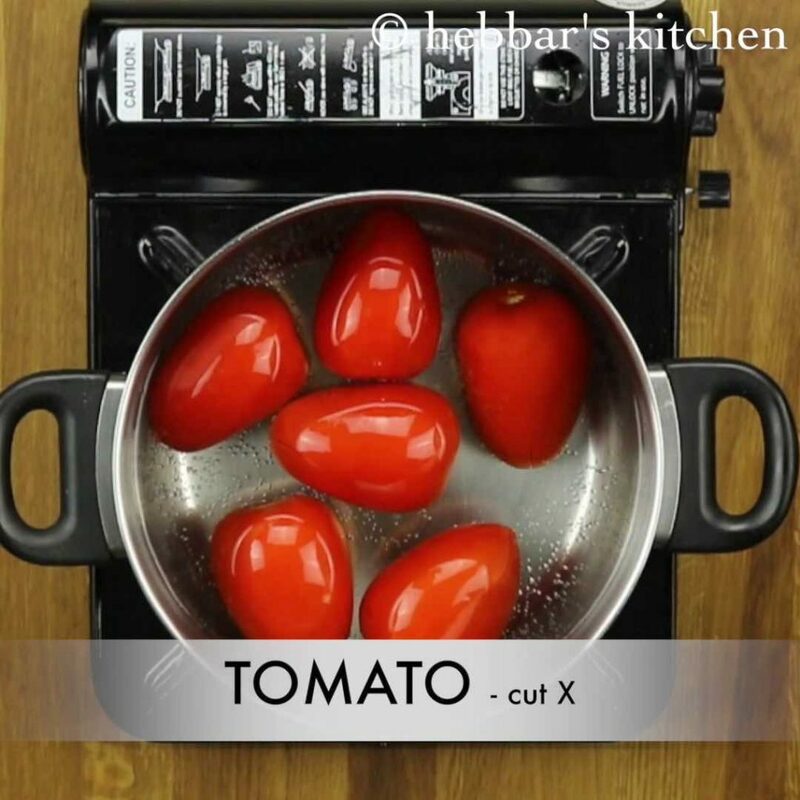 firstly, slit x on bottom of tomatoes. 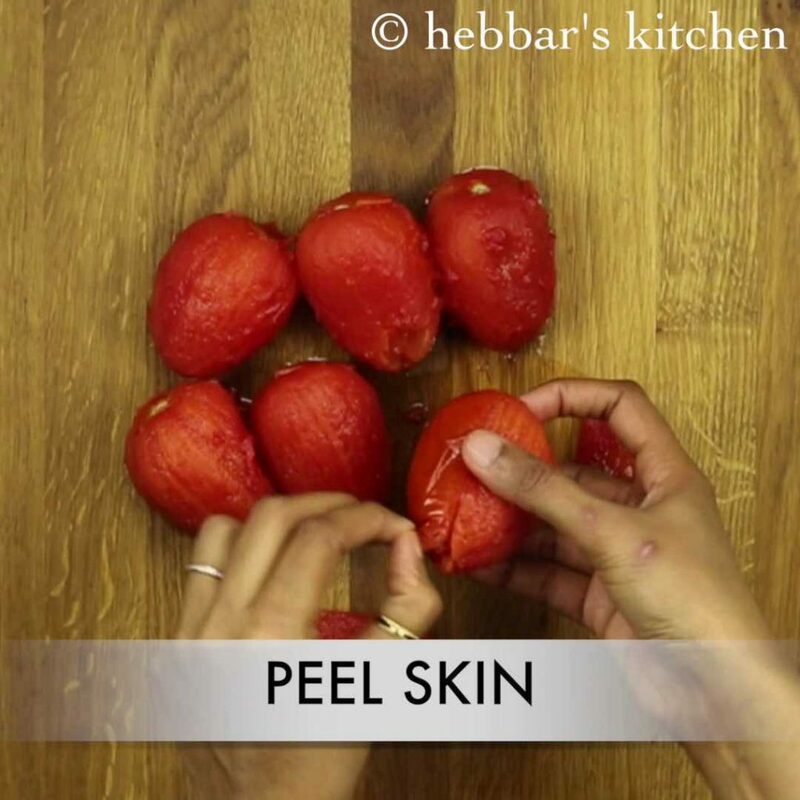 this helps to peel the skin of tomatoes easily once blanched. 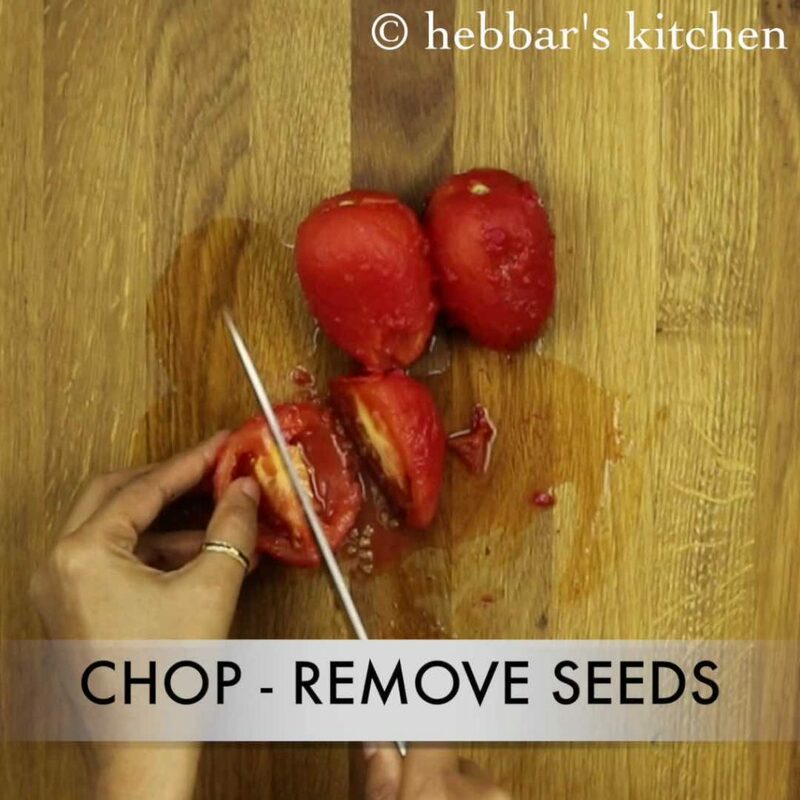 then add 3 chopped – deseeded tomatoes and cook completely. 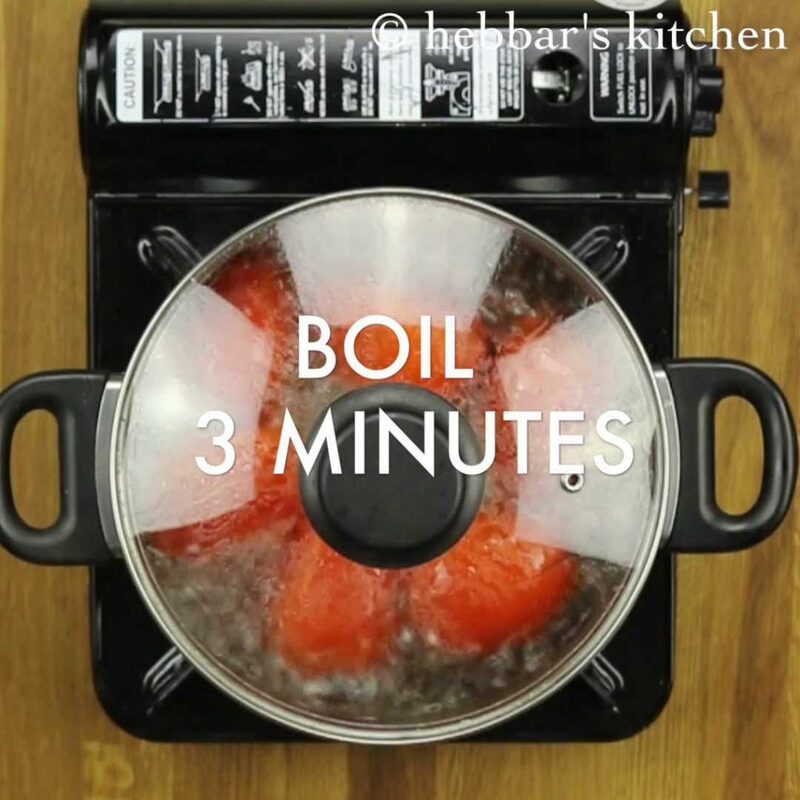 also add tomato sauce. 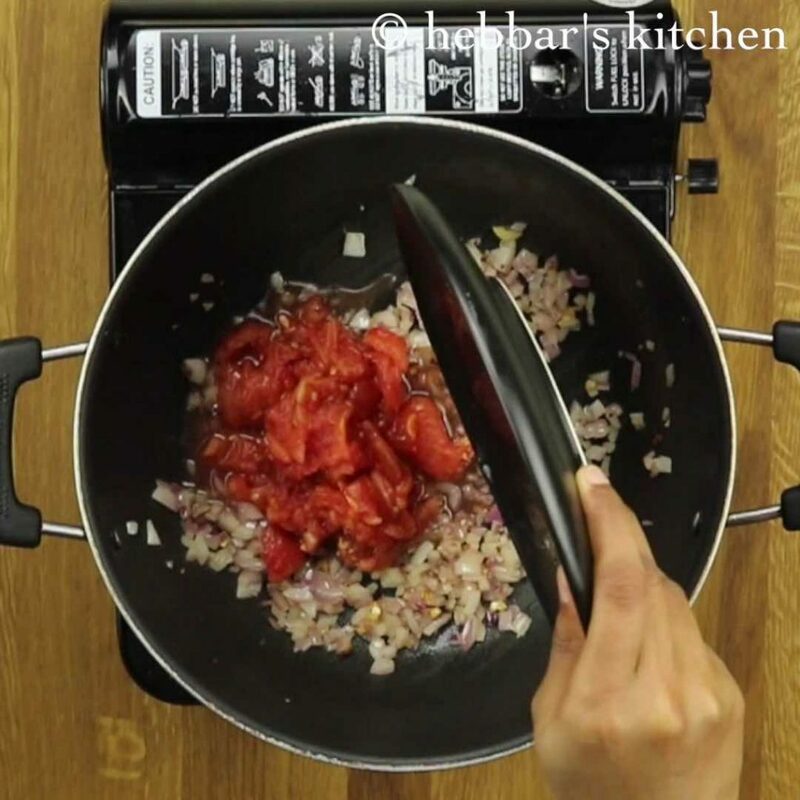 this helps to enhance the flavour of pizza sauce. 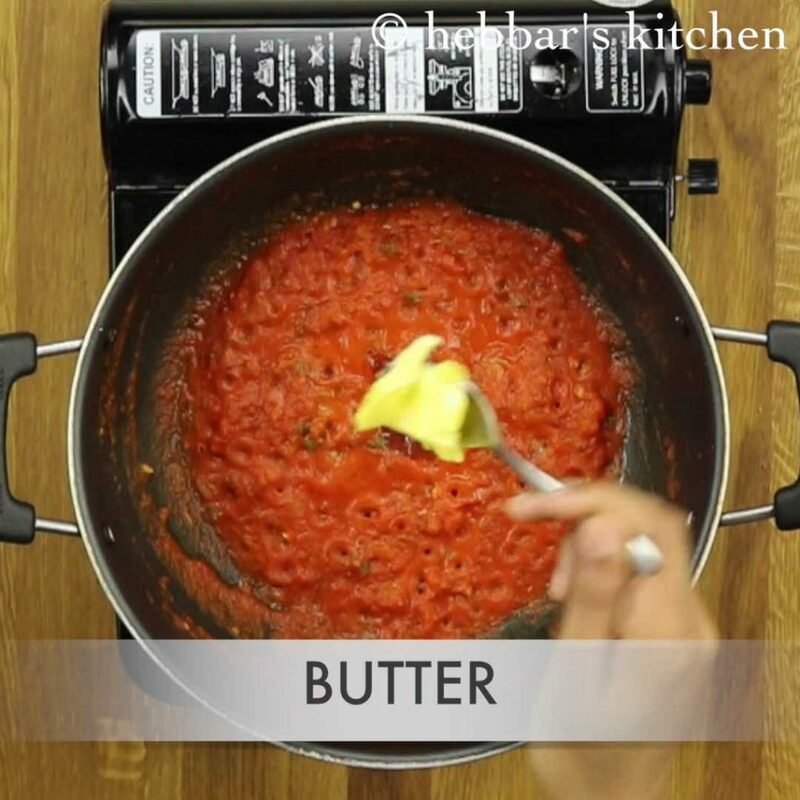 then add butter to make pizza sauce more silky and tasty. 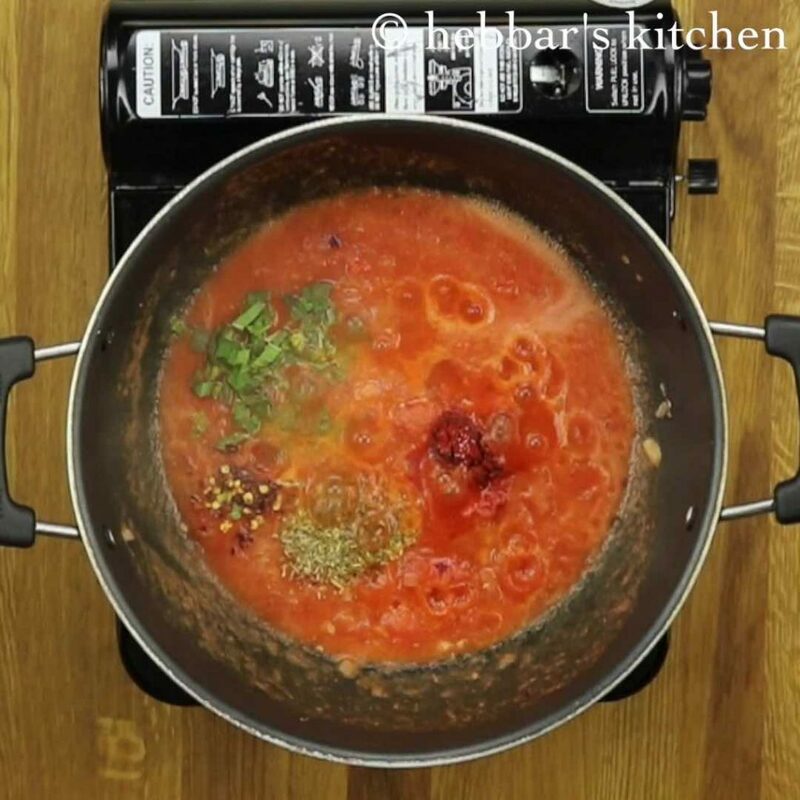 firstly, use bright red tomatoes, else sauce will not be of bright colour. 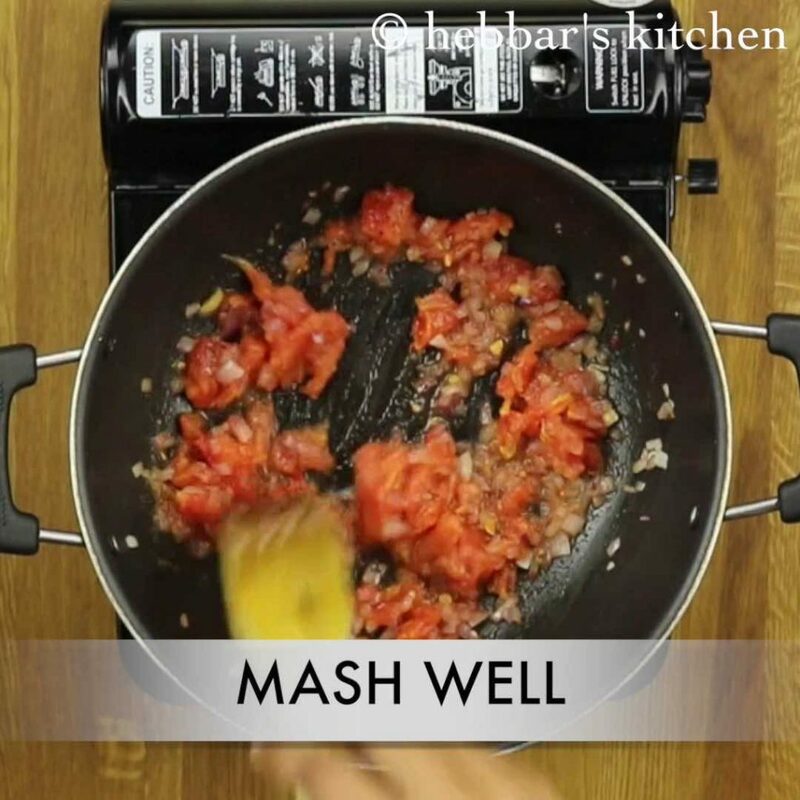 furthermore, always puree half the quantity of tomatoes and rest half chop them. additionally, to make sauce more spicy add green chilli. 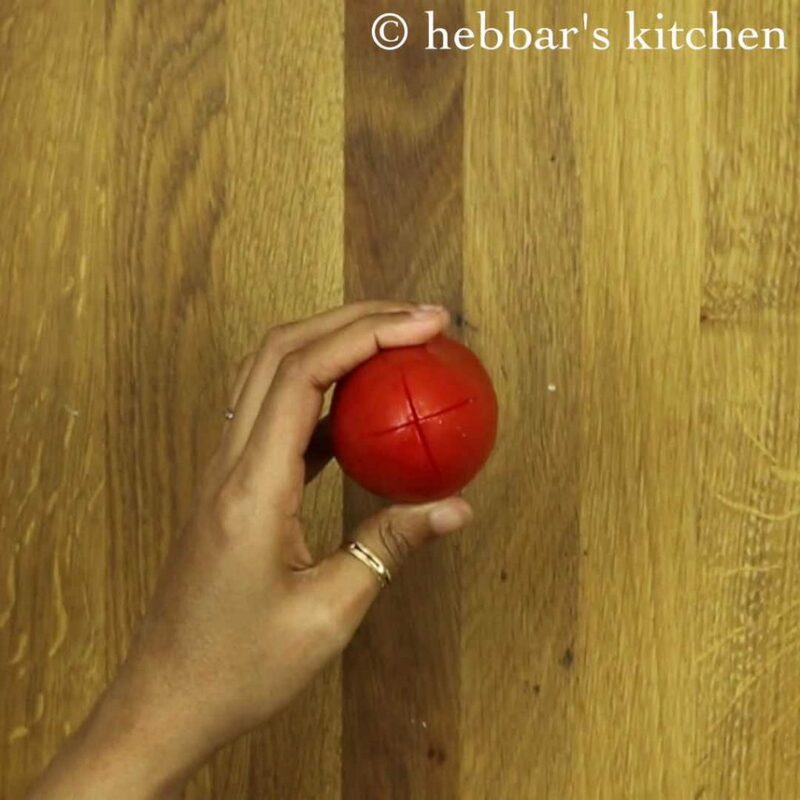 finally, pizza sauce stays fresh for a week or more when stored in a airtight container. 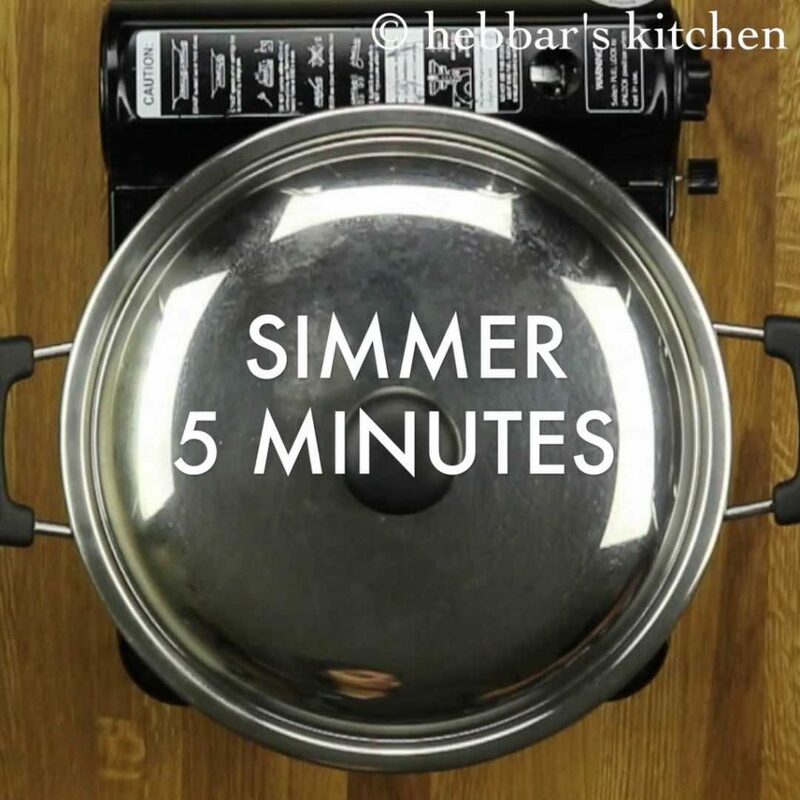 Can i use dried basil instead of fresh basil? 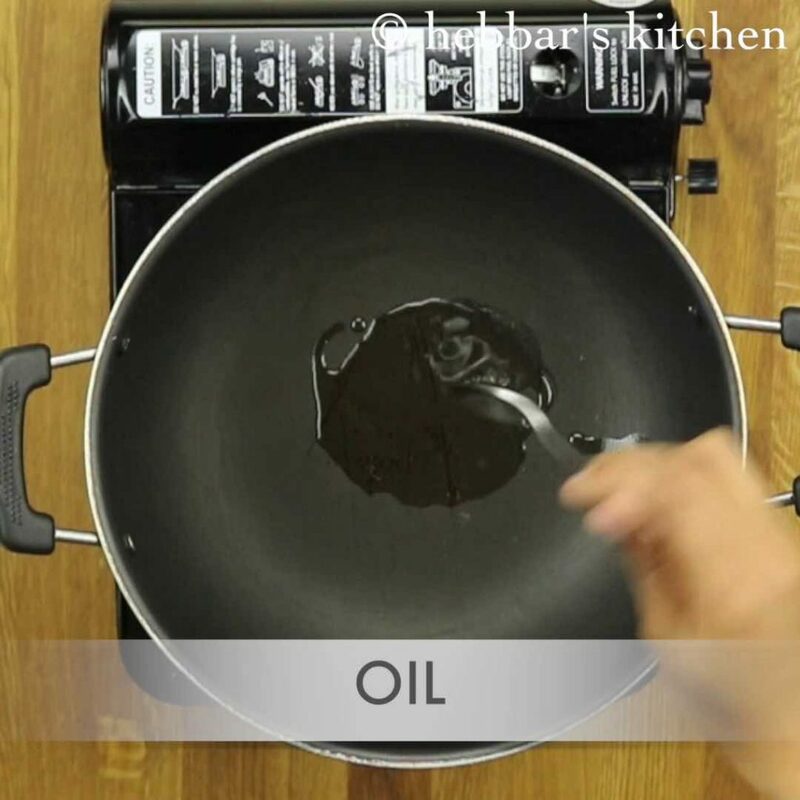 you can use mint leaves.. 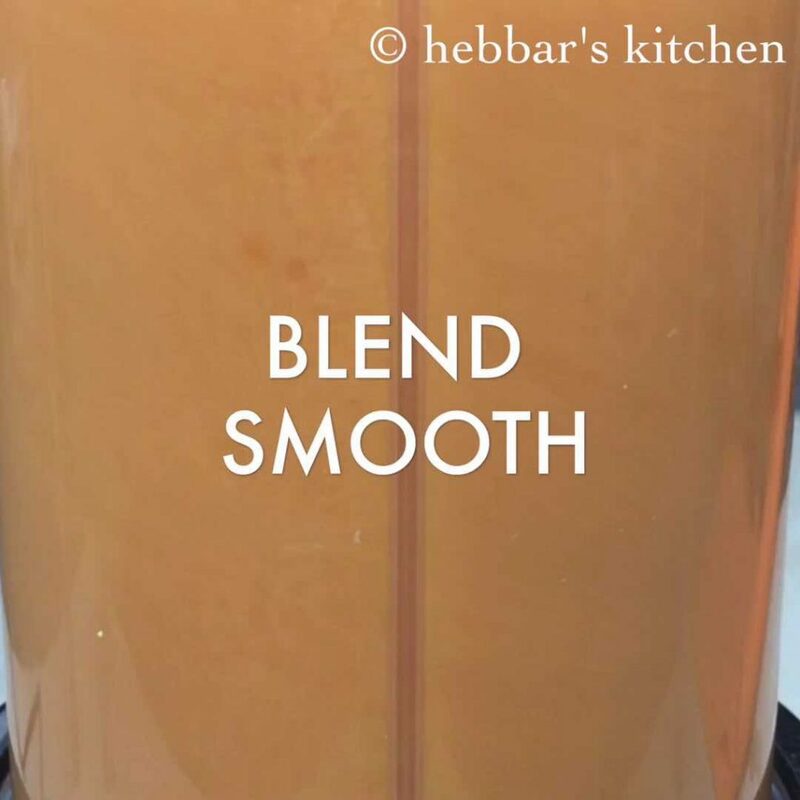 I adore your recipe collection and the way you render it, it looks so easy and doable.. 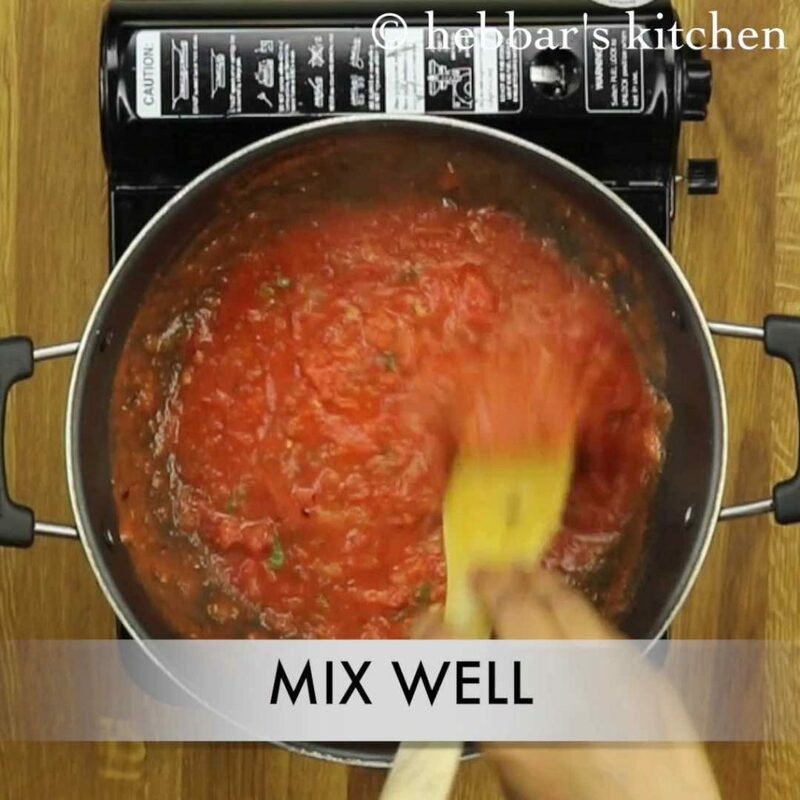 When this recipe for both pizza sauce, why was the tomato sauce used at the we’ve of the cooking sauce? 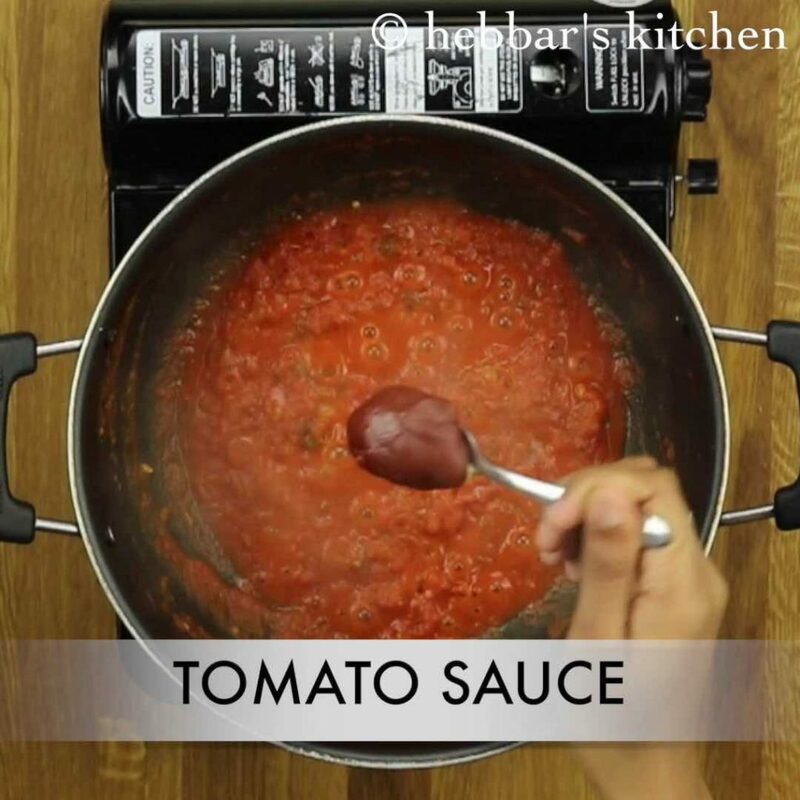 adding tomato sauce gives nice texture to pizza sauce..
Once prepared how long we can keep it? you can store it for a week in fridge. My 1 Cups size is 255 ml. thank you very much 😉 I will try to post it soon.